Look effortlessly chic in the trendy double layer maxi tunic. 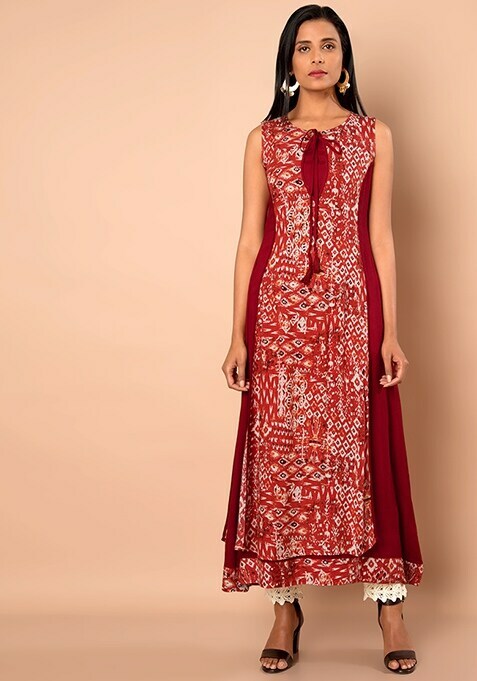 It features an upper printed oxblood kurti-style top with an attached oxblood maxi skirt. Work It - Style with chunky accessories and peep toes to look glam.